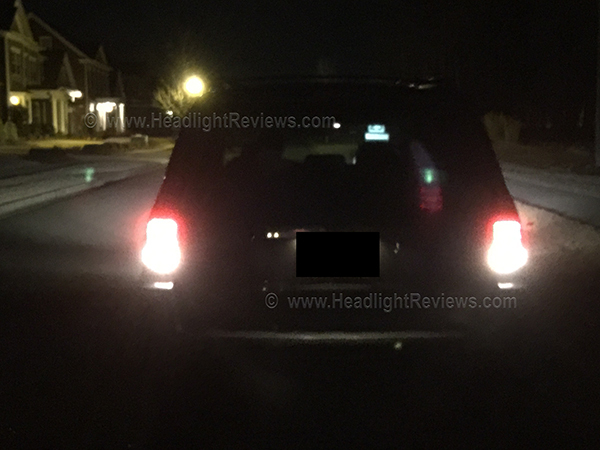 For quite some time we’ve been wanting to get our hands on some LED reverse lights to shine a little more light behind us when we’re backing up. Especially on dark nights, with the kind of tint we like to have on our vehicles, it doesn’t hurt to have a little more help when the car’s in reverse. LED lights use up less power, are brighter, and look a lot better than standard halogen bulbs. We took to Amazon to find a couple of their best sellers, and decided to give them a shot. 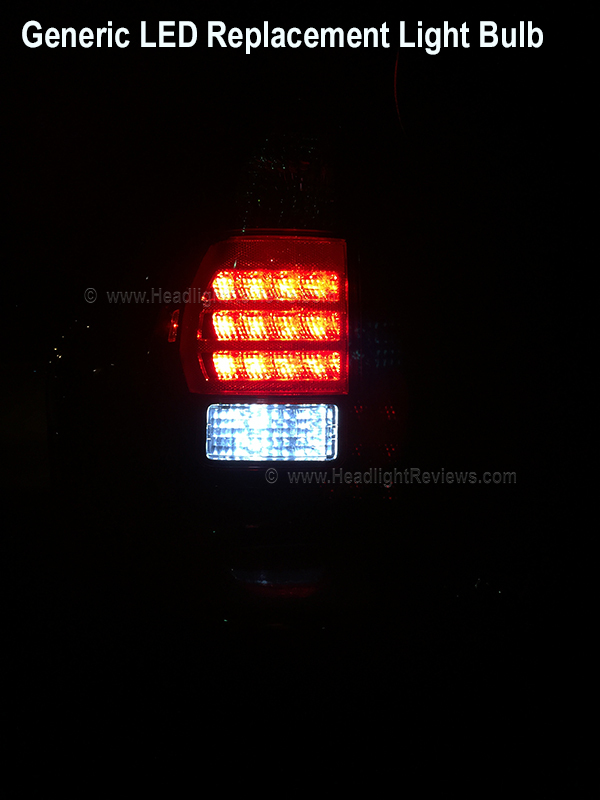 The two top bulbs are the iJDMTOY Projector-style LED Reverse Light and the more generic LED Replacement Light Bulb. 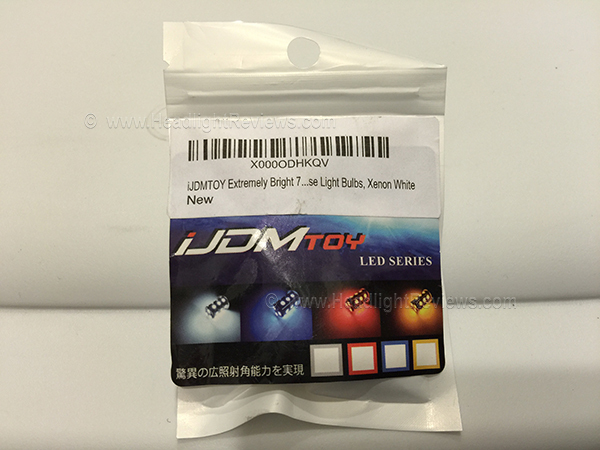 The first, the iJDMTOY bulb, has 240 customer reviews on Amazon, with an average star rating of 4 out of 5. The LED Replacement Bulb has 676 customer reviews, and also has an average star rating of 4 out of 5. Optimistic, we set out in give these puppies a try in our test vehicle, a 2006 Toyota 4Runner SR5. First, let’s talk about the packaging. Neither product was too impressive on this front. When I opened the package, I had a hard time telling which set of bulbs was was which. 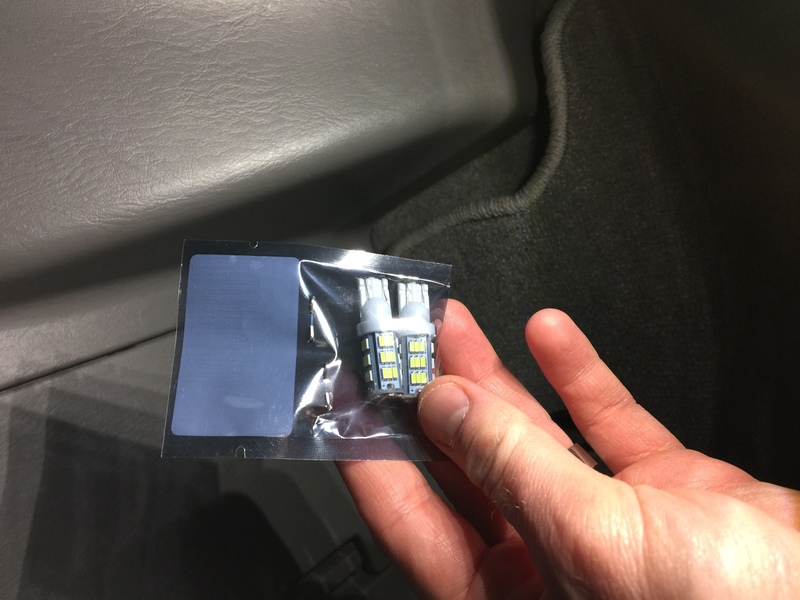 The generic LED Replacement Bulb came in the packaging shown below. Due to the lack of a solid brand name, and apparently not caring to create a meaningful customer experience, the bulbs are thrown in a small bag which is then stapled shut. Not a huge issue, as long as the bulbs work, but doesn’t necessarily give you the warm fuzzies. The iJDMTOY bulbs came in slightly better packaging. And by that, I simply mean that the bag was actually branded. As you can see, the iJDMTOY bulbs were larger than the generic bulbs. It’s tough to tell from this photo, but they actually have a projector spotlight on the end of them as well. 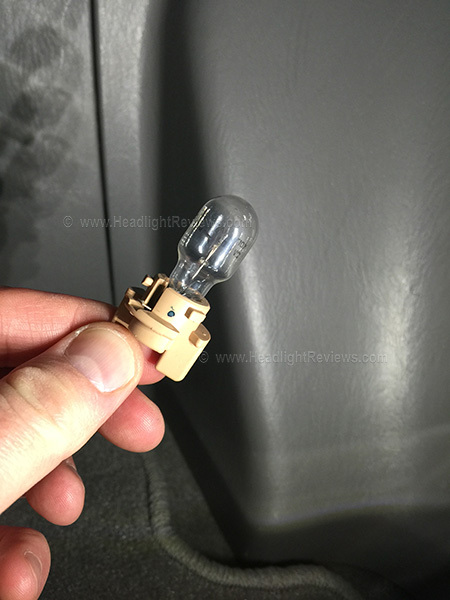 So, you’ve got light coming out the sides of the bulbs as well as the end of the bulb. 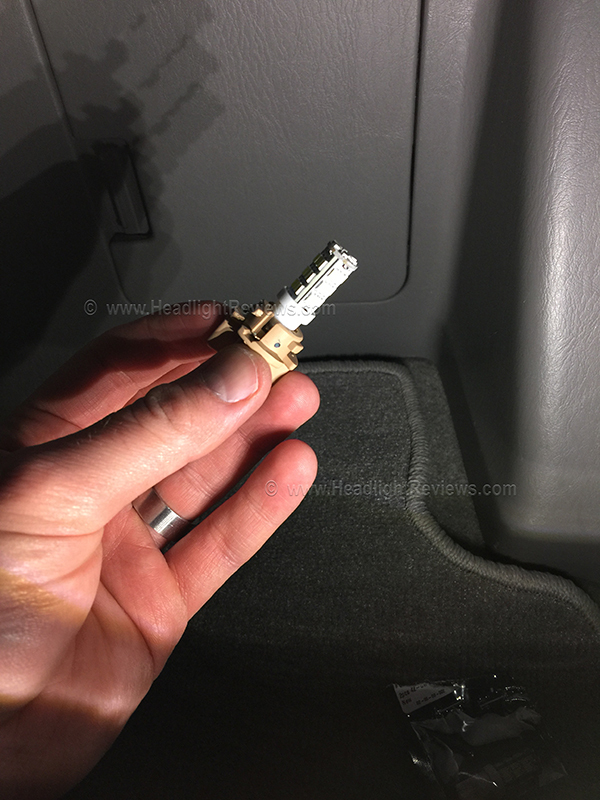 The first step is to remove the stock reverse bulbs from your vehicle. 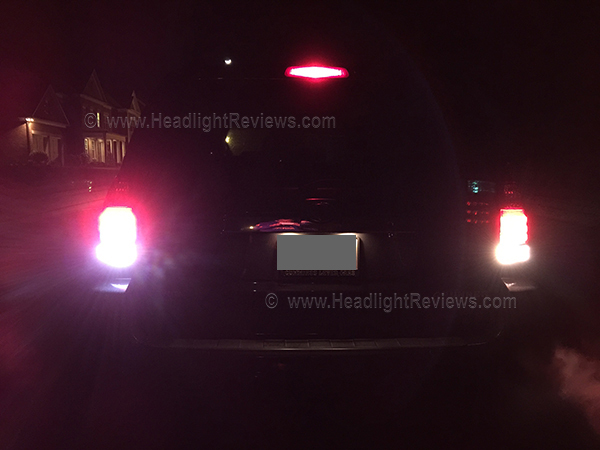 Our test vehicle was a 2006 Toyota 4Runner, so the bulbs were easily accessible through the trunk. Here’s a shot of the standard halogen bulb on the right and the Generic LED bulb on the left. You can definitely see the color difference between the two. 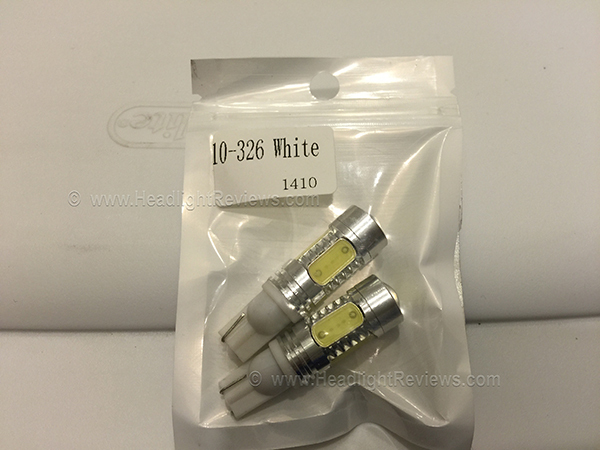 The standard halogen is “white” (yellow/white) and the LED bulb is a “pure white” color. As the image portrays, this particular LED bulb isn’t really any brighter than the standard halogen bulb. It’s simply a different color. If that’s all you’re looking for, then this bulb may be your ticket. 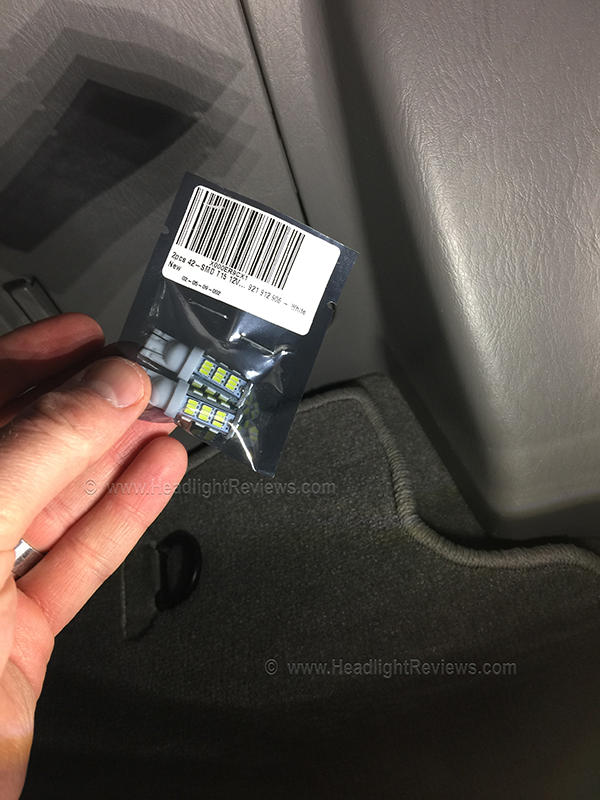 If, however, you’re looking to get more light out of your reverse lamps (which we assume you are), we recommend choosing the iJDM LED reverse bulbs below. iJDMTOY bulb on the left and standard halogen reverse light on the right. 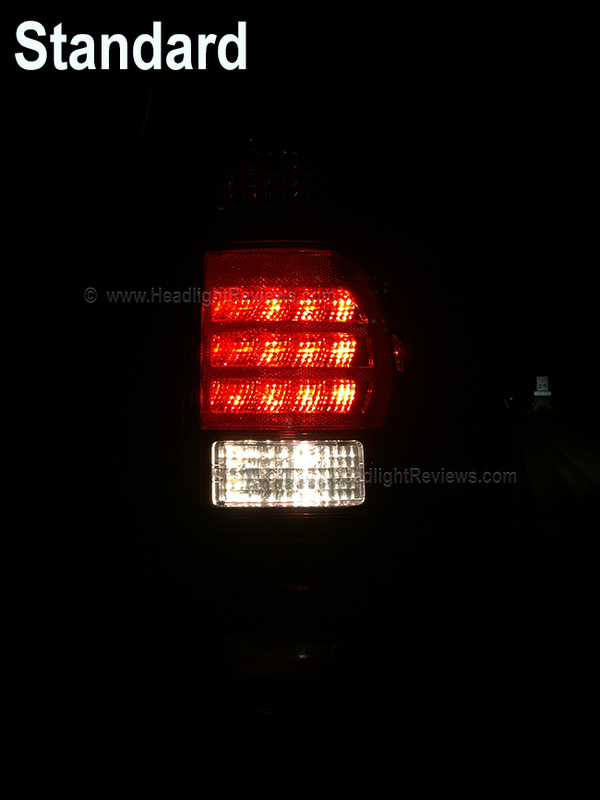 It won’t be long until car manufacturers begin sourcing LED reverse lights for their OEM builds. They use less electricity and offer brighter light (not to mention…they look WAY better). Until then, the iJDMTOY bulbs provide the brighter light output to cover the roads driveways, and parking lots behind you. Especially on those dark nights, we really enjoy having more light output to guide us while we are in reverse. That’s a pretty noticeable difference. Will definitely be switching over in my lexus isf’s rear taillights.